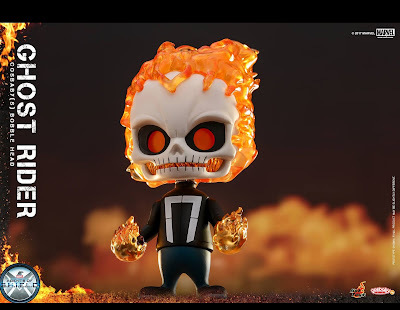 Hot Toys continues its popular line of Marvel Cinematic Universe Cosbaby mini figures with this awesome Ghost Rider Cosbaby based on his appearance in the Agents of SHIELD televisions series! 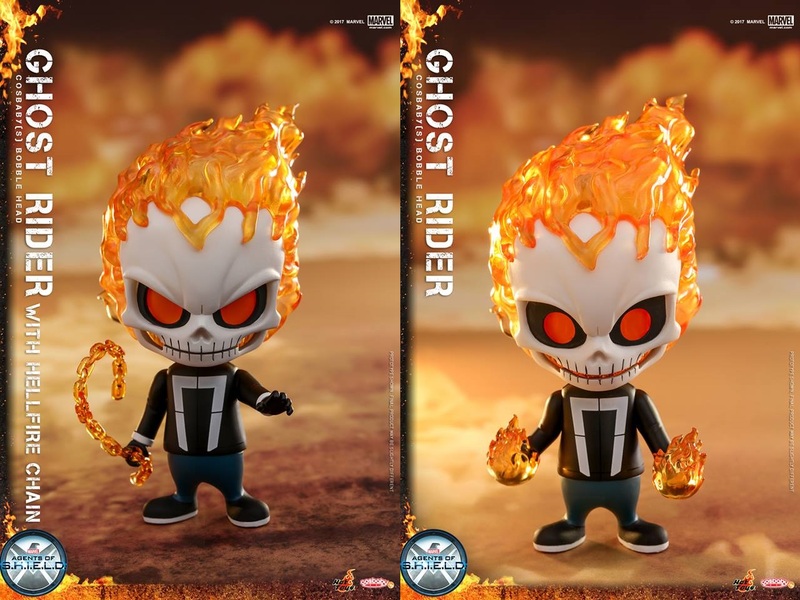 This might just be the most adorable version of the merciless and threatening Ghost Rider ever produced. Hot Toys is releasing two versions of the Agents of SHIELD Ghost Rider Cosbaby: one colorway features the Spirit of Vengeance holding his Hellfire Chain, while the other shows Ghost Rider using his fire superpowers. 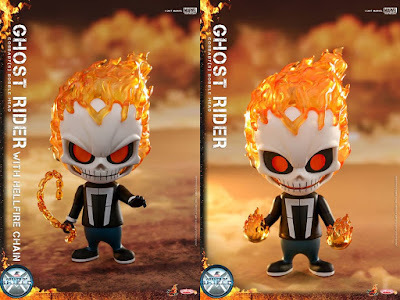 Both Agents of SHIELD Ghost Rider Cosbaby mini figure bobble heads stand approximately 12cm tall and include a really unique fire-shaped hair sculpture.